I’m Andrew Chastney, a freelance wildlife film maker, I have two hats when working really, I cut films (the editor) and I produce (that’s BBC parlance for the director). I’ve been lucky enough to be in the “business” of wildlife films for the last 25 years now, though it’s less of a business and far, far more of a passion. Luckier still is that it has allowed me fantastic opportunities to pursue my other passion in life – photography. For the past year we’ve been making a film (it’ll be broadcast next year on the telly) on Iceland, its wildlife, people and the extraordinary landscape that has made it. It’s continually growing actually, at 2.5cm per year which is very fast geologically! In addition to the film, there was a serious mission from the stills side, so I went with my team, including a cameraman and assistant cameraman fully loaded with an assortment of EOS 5D’s, 7D’s, 50D’s (and the odd Leica). We went at the end of last winter, into the depths of a frozen land. All these lenses are superb, and these days on the movie side of things, optical performance is paramount. The F55 is a 4K camera, and although 4K has its limitations, it certainly shows up any soft or ‘un-crisp’ glass. I’m not going to go through a technical appraisal of fluoride coatings or light transmissions here, all those lenses are very good if you do your bit, I’m just going to give you a bit of a real world story of their performance. So our little jolly around Iceland took us to some amazing places, in all sorts of weather conditions! Iceland, being stuck far out in the North Atlantic quite close to Greenland, can have sun, snow, rain and hail in the course of an average summer’s day, so all our lenses had to be able to withstand tough conditions. It’s worth bearing in mind not just the weather on filming trips, there’s also whatever can be blown around by the wind. If you’re in a desert, there is obviously sand to worry about. In Iceland though, two things are an absolute nightmare. The volcanic dust and the tiny bits of vegetable matter (heather etc.). The dust is much smaller than sand grains and very abrasive - the vegetable matter is less abrasive but swells in contact with water, and they are both propelled by some extreme winds! Now the upshot of this of course, is that theses particles get blown into zoom rings, camera bodies, switches etc no matter how much care and protection you give. The dust is better than grinding paste, and the vegetable matter gets in then sets like stone when wet - nightmare! So it’s no surprise that all the kit went off for a full service on its return. Surprisingly, none of the lenses had any major problems (the new 200-400mm had to have its zoom ring dismantled, but that was a very cheap fix) and when you think of how much abuse they had over the year in a very tough environment, that is high praise indeed! 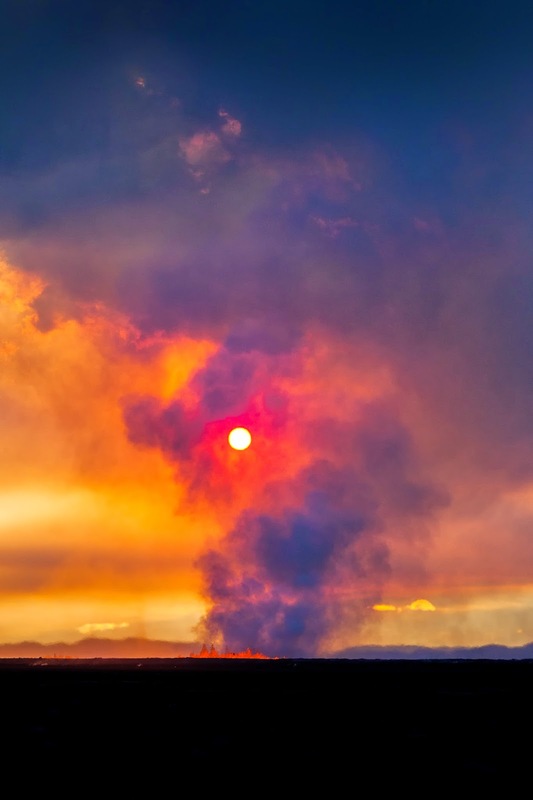 I guess the most extreme situation for us was the eruption at Holuhraun, Bardarbunga. We were obviously hoping to get an eruption into the film, but you can’t plan these things! We had been in very close contact with the geological services, and when things started to get active a few weeks before the main eruption, we were obviously excited. The only trouble was that we were back in the UK having a summer break, so things were starting to get interesting from the planning point. 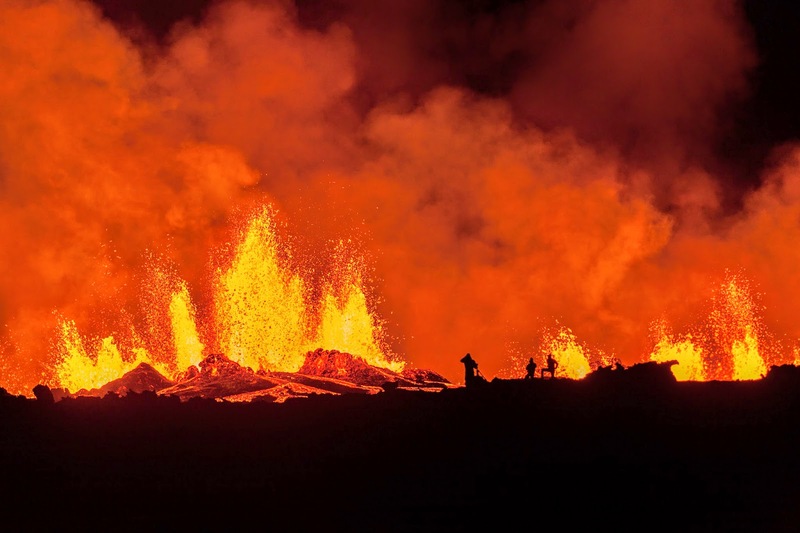 There was a big concern (hyped up by the media it has to be said) that we would see a repeat of the 2010 Eyjafjallajökull eruption that closed Europe’s airspace. 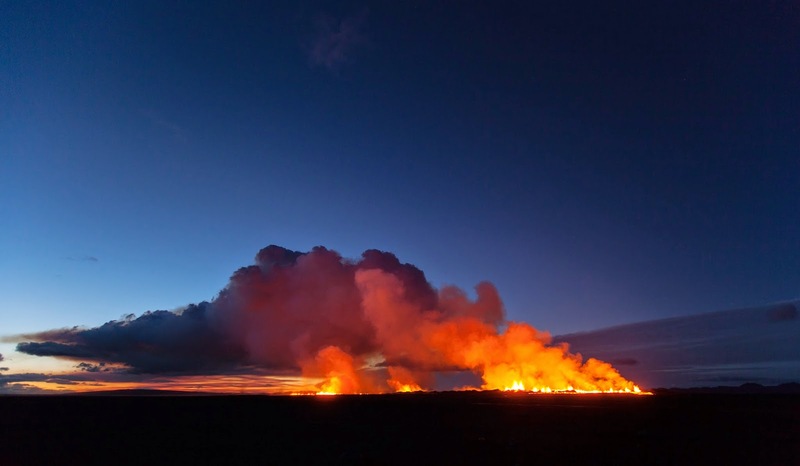 So we may not be able to get to the eruption or if we did could be stuck there… hmm interesting! Fortunately the Icelandic people are very, very well prepared for living in such a dynamic land, and we were very lucky in having the help of the Icelandic Search and Rescue team to co-ordinate our efforts. Now with any eruption, they close the entire area off to any visitors (they have a pretty good idea of when the eruption will occur thanks to all the seismic sensors) then the SAR teams go in and establish safe areas. Our plan was simple, go in with the SAR teams, under their direction, as soon as the eruption occurred. The inevitable happened of course, and the eruption occurred as we were flying to Iceland (good timing or what?) so we gathered gear and headed out on a mad rush to the centre of the highlands (a 14 hr trip, much of it off road on rocky tracks). Thor our SAR team leader checked the ground and the state of the lava flows and we cautiously approached. To be honest, the entire night and next day went by in such a flash that its difficult to pick out highlights, its only now when I’m going through the rushes (in the cutting room with my editor hat on) that you see the event in context. 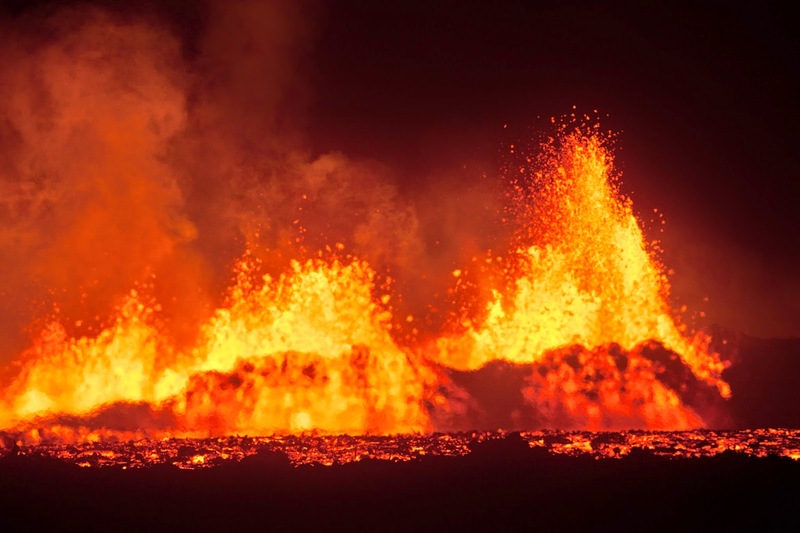 You can see though from the pictures that we spent a lot of time within a couple of meters of advancing walls of lava, great gouging fountains of the stuff pouring out of the ground at over 1200°C. It was truly unbelievable. Now whilst the cameraman and assistant worked tirelessly getting the moving images with a selection of the lenses, I was on stills duty. Without hesitation I went for the Canon EF 70-200mm f/2.8L IS II USM as my weapon of choice. This focal range is so, so useful in any number of scenarios where you are dictated to by the conditions around you. A volcanic eruption with lava flowing like a river in flood is not your average studio conditions! You need a lens that is versatile, fast and with a robust and efficient IS system. Being able to re-frame within 70-200mm is a brilliant range to work with in so many situations - people, wildlife, sports, you name it. f/2.8 throughout was great obviously, as we were there all night! 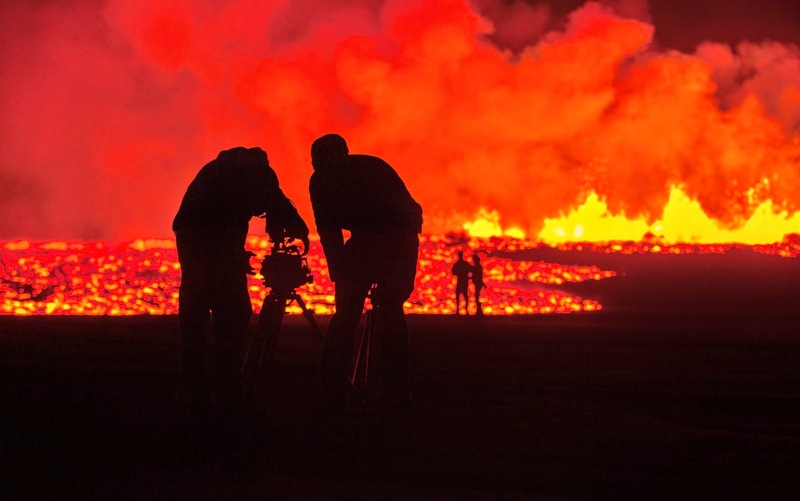 When I used it, the auto focussing was fast and accurate – and bear in mind we were filming through a ton of heat haze as the temperature difference between lava and cold Icelandic air would suggest! There wasn’t a lot of time to work with a tripod here; I just had the 5D and lens on me the whole time we were moving around. I have to say that the new IS system really lives up to the performance hype over the old model. I tend to shoot almost entirely on manual or AV priority to lock in what I want to get, but a couple of shots on full auto came out remarkably well, given the conditions. Oh and did I mention it was tough?! The whole area was awash with very, very fine dust, soot and a little ash, and we were covered from head to foot in it, but the 70-200mm just kept going, unbelievable really. You know how sometimes you use a product, like a watch or a car or a tool of some sort, and you just know that its got that magic combination of strength, design and performance, well the EF 70-200mm f/2.8L IS II USM is that. The film will be on air next year so keep an eye out (I’ll post some news here), my next missions are going to be Laos, Cambodia and Myanmar next year. I’ve trimmed down my photography kit over the years to be balanced between function and practicality, It’s a Canon EOS 5D Mark III, a EF 24-70mm f/4.0L IS USM (I like the macro ability for travelling), and of course the EF 70-200mm f/2.8L IS II USM. There is only one piece of advice I can give… sell everything and get one! Follow Andrew on Twitter (@andychas) or Instagram (@andychastney). Andrew left school in 1983 and after a year or so travelling around Europe, started working in Soho, London as a runner. Having worked his way up the ladder to editor, working on commercials, pop promo’s and corporates, he relocated to Bristol in 1990. Andrew has been a permanent fixture on the Bristol editing scene ever since, working on a huge range of broadcast documentaries, both natural history and features, from the massively successful “Frozen Planet”, to “Hidden Kingdoms”, “Great Bear Stakeout” “Human Planet”, and “Planet Earth” to “Ray Mears” and “DIY SOS”. See the range of Canon Digital SLRs and lenses (including the EF 70-200mm f/2.8L IS II USM) at our stores in Burgess Hill or in Central London. 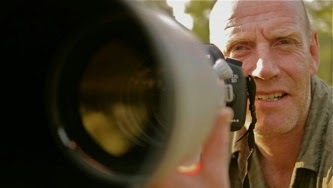 Alternatively, visit www.ParkCameras.com. 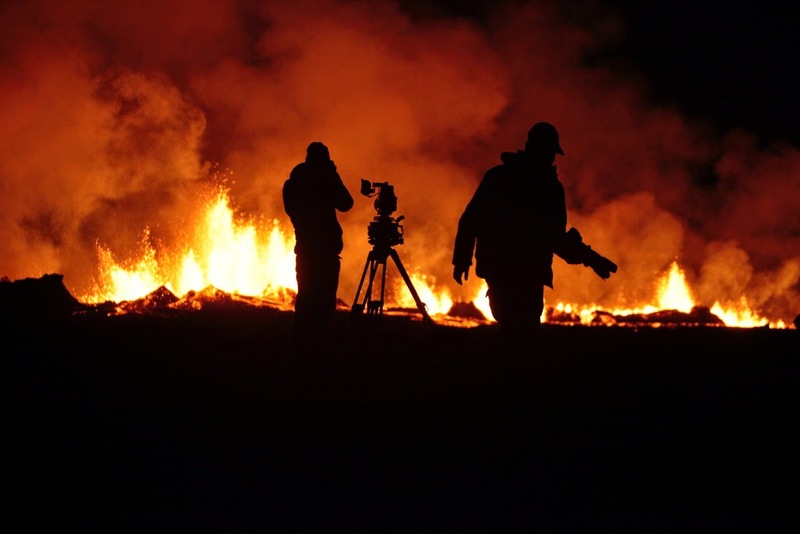 On 1st May 2015 at 9.00pm, Andrew’s work in Iceland will be featured as part of the BBC Natural World Series. For some clips and more photos, visit the BBC website.